This ThingPark Market Seller Agreement (this "Agreement") is between ThingPark Market ("ThingPark") and you (if registering as an individual) (“You”) or the entity that you represent (if you are registering as a business (“Seller” or “Vendor” or ”You”). Before clicking to agree to this Agreement, please read carefully the terms and conditions below. Under this Agreement, You authorize ThingPark, and ThingPark affiliates to promote, facilitate the sales of Marketplace Products (as defined below). "Brand Page" is defined by a dedicated area where a Seller can showcase their company and/or brand details on various channels. "Marketplace" or " ThingPark Market" is defined by any location at which ThingPark makes available or lists Marketplace Products via various channels including but not limited to online platform, applications, mobile interfaces, service or user interface that allows for the discovery, download or purchase of Products. "New Versions" means any enhancements, upgrades, updates, bug fixes, patches, new versions and other modifications and amendments to your Products. "On demand Services" is defined by additional services that will be delivered by ThingPark Market upon request by the Seller. The portfolio of “on demand Services” will be updated by ThingPark Market to better accommodate customer needs. "Products" are defined by any hardware products, software products and associated services that are offered on the Marketplace. "PSP” is defined as payment service provider that offer compliance and financial framework to process payout to the sellers of a marketplace. ThingPark Market’s PSP is more specifically Stripe for the purpose of the Seller Agreement. "Services" are defined by Applications, Connectivity, Certification “ThingPark Connected”, Software subscription (SaaS), Professional Services, Training, on-site installation, warranty, support services. “Stripe” is defined as a payment service provider (PSP) that offers shops online services for accepting electronic payments by a variety of payment methods including credit card, bank-based payments such as direct debit, bank transfer, and real-time bank transfer based on online banking. It forms a single payment gateway for their clients (merchants) to multiple payment methods. 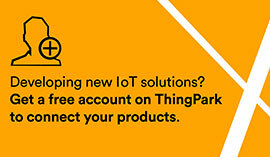 "ThingPark Approved" means that the partner product - i.e. device / gateway / application is integrated and has been tested with the ThingPark Platform. This covers a much wider set of interfaces / integration points than LoRAWAN wireless protocol certification. "ThingPark Guidelines" is defined by terms, rules & policies and are available via ThingPark Market home page. These Guidelines set forth requirements for You to include your Products in the ThingPark Market. "Wholesale Buyers" are defined by Buyers that comply with eligibility criteria as defined by ThingPark Market and updated from time to time. The Wholesale buyers are entitled to special price list. "Your sales channel" are defined by all sales channels and other means through which you or any of your Affiliates offer or sell products, other than physical stores. The ThingPark Market provides a platform that connects Sellers who wish to market and sell their products and/or Services with Buyers. The sale of Products and/or Services shall be direct between the Buyer and the Seller. Sellers are able to market their products for sale and reference to a global buyer community and Wholesale Buyers. Sellers are to describe their products, shipping information and manage post sales for sold products. Transactions are conducted via the Service ThingPark Market for the sale of Products paid through the ThingPark Market. ThingPark Market shall by no means resell products offered by Sellers on the Service. ThingPark Market invoice Seller for its services fees and remit the amount due. Your use of any Service may be subject to account limits, including, without limitation, transaction volume limits or withdrawal restrictions. These limits are determined based on performance and risk factors, including without limitation our assessment of the risk associated with your Merchant Account, your or a Buyer's location, the registration information you provide and our ability to verify it, and the requirements of applicable law. Notwithstanding any account limits, we may delay, suspend or reject a transaction from any buyer or otherwise suspend a Merchant Account if we suspect the transaction or Merchant Account is being used without authorization, fraudulently, suspiciously or is otherwise unusual based on prior transaction activity and application of our internal fraud controls. (a) You as a seller understand and agree that you are solely responsible for compliance with any and all laws, rules, regulations, d tax obligations that may apply to your use of the ThingPark Market site and services and with ThingPark Guidelines. The sale of illegal, unsafe, or other restricted products listed on these pages, including products available only by prescription, is strictly prohibited; In connection with your use of the site, application, services, and collective content, you agree to the following: You agree to comply with relevant business legislations (including registration, accounting obligations, social and fiscal legislation). (b) You will not solicit marketplace Buyers to contact him/her outside of the ThingPark Market portal in any form whatsoever (including yet not excluding the insertion of contact information (phone number, URL, hyperlinks) in Seller product descriptions, brand pages, packaging, and messages to the Buyers. (c) You agree to be committed to answering emails and notifications from the ThingPark Market or from Buyers within 2 business days from receipt. (d) You agree to not infringe the rights of ThingPark or the rights of any other person or entity, including without limitation, their intellectual property, privacy, publicity or contractual right. (e) You agree to avoid, without this list being exhaustive, the use of virtual or trade names, pseudonyms, statements or other messages which may be abusive, contrary to public convention or morality. (c) the Content, Required Product Information and other information regarding Your Products listed on the ThingPark Market that you provide to us is of at least the same level of quality as the highest quality information displayed or used in Your Sales Channels. If you become aware of any non-compliance with (a) above, you will promptly compensate adversely affected customers by making appropriate refunds to them. The Seller shall ensure to fulfill at least 98 % of orders for Products offered for sale on the Site from the creation of his account. You are solely responsible for tax calculation services and have put in place calculation settings for the jurisdictions for which you wish to calculate taxes or other transaction-based charges that we support for your Marketplace Professional. You agree that it is the Seller's responsibility to determine whether Seller Taxes apply to the transactions and to collect, report, and remit the correct Seller Taxes to the appropriate tax authority, and that ThingPark is not obligated to determine whether Seller Taxes apply and is not responsible to collect, report, or remit any sales, use, or similar taxes arising from any transaction, except to the extent ThingPark Payments expressly agrees to receive taxes or other transaction-based charges in connection with tax calculation services made available by ThingPark and used by Seller. You will be providing to ThingPark Market, in the format and manner we require, Taxes calculation related to sales (VAT, customs taxes, delivery and handling charges, and miscellaneous) for the jurisdictions for which you wish to calculate taxes or other transaction-based charges that we support for ThingPark Market, and any related information we request. "Seller Taxes" means any and all sales, goods and services, use, excise, import, export, value added, consumption and other taxes and duties assessed, incurred or required to be collected or paid for any reason in connection with any advertisement, offer or sale of products by you on or through the Site, or otherwise in connection with any action, inaction or omission of you or any of affiliate of yours, or any of your or their respective employees, agents, contractors or representatives. ThingPark disclaims all responsibility for the Taxes calculation and consequently You shall hold harmless and indemnify ThingPark for any and all claims whatsoever related to Taxes and its calculation. The Seller is responsible to define its Shipping terms and conditions and to update its shipping price rules with Marketplace support. The Shipping terms and conditions shall at least contain the minimum requirements as set forth under ThingPark Shipping Policy. The support team update the shipping price rules and term of delivery within 5 business days. Thing Park will be reported by the Seller of the tracking of the purchase order i.e. shipment, delivery. For all of your products You will accept and process returns, refunds and adjustments in accordance with this marketplace Seller agreement and the ThingPark Refund and Returns Policy published on the Site at the time of the applicable order, and we may inform Buyers (apart from WholeSale Buyers) that these policies apply to Your products. The Seller ‘s return and refund policy (if any) shall at least contain the minimum requirements as set forth under the ThingPark Return and Refund Policy. You will determine and calculate the amount of all refunds and adjustments (including any taxes, shipping and handling or other charges) or other amounts to be paid by You to Buyers in connection with purchases and will route all such payments through ThingPark. ThingPark will provide any such payments to the Buyers (which may be in the same payment form originally used to purchase Your product), and You will reimburse ThingPark for all amounts so paid. ThingPark may offset such payments against any amounts to be remitted or paid by ThingPark to Seller under this Seller agreement or seek reimbursement from seller via any of the means authorized under this Seller agreement. You will promptly provide refunds and adjustments that You are obligated to provide under the applicable ThingPark Refund and Returns Policy and as required by law, and in no case later than thirty (30) days after the obligation arises. Seller cannot list or sell items that: infringe upon intellectual property rights or are illegal, fake, counterfeit, or stolen. Items listed for sale must be listed on the correct item page and an accurate description of the products description must be given. The accounts of sellers may be limited in a matter that allows them to make a certain amount of transactions within a given time at the sole discretion of ThingPark . Marketplace transactions must take place between two different individuals, organizations or entities. ThingPark reserves the right to refuse service to anyone at any time for any reason. ThingPark determines which products to offer for sale in the marketplace. Products may be added or removed at any time without notice. Changes to the item detail pages of a product can also take place without notice. The way listings appear in the marketplace may change without notice to users of the marketplace. Sellers are required to sell items at the price they listed to customers that meet the seller’s terms. By listing an item in ThingPark You agree that you have the right to sell the item, the item is in your possession and that your description provided in your listing is complete and accurate. Sellers are not allowed to drop ship or sell items they do not physically possess. Sellers are required to ship an order by the provided ship date and follow the ThingPark Guidelines. Failure to ship by the provided date or follow the ThingPark Shipping Policy may be grounds for termination of your Account. The Seller is contracted to deliver the items contained within an order to the Buyer and the Seller waive its ability to win any disputes if the Buyer says the package did not arrive due to not having Delivery Confirmation or Tracking. The Seller waives the ability to win any disputes if the Buyer says the package did not arrive should they choose not to follow the Shipping Policy. Seller with professional selling plans on ThingPark must provide proof of Commercial General Liability insurance. This insurance, obtained at the seller’s expense, shall cover up to $1,000,000 per occurrence and in the aggregate and must include products liability, bodily injury, or personal injury, property damage, and other requirements as stated in the ThingPark Terms and Conditions. The insurance must indicate that “ThingPark.com", and its affiliates and assignees” are added as additional insureds. You are responsible for providing accurate Product Information. If Product Information is inaccurate or needs to be updated or modified, you will promptly provide ThingPark with corrections, updates, or modifications. You will ensure that all Content complies with this Agreement, including ThingPark Guidelines (which are hereby incorporated into this Agreement). You must comply with all such terms. Nonetheless, the express terms and conditions of this Agreement will supersede in the event of any direct conflict with the ThingPark Guidelines or such included (or referenced) terms, but only with respect to the subject matter of this Agreement. (c) otherwise to use, store, copy and distribute your Content for testing and evaluation purposes; for ThingPark's use internally, in object code format (which ThingPark agrees not to decompile or reverse engineer), within the scope for which the Product's use is reasonably intended ("Internal Use License"); for purposes of exercising ThingPark's rights and fulfilling ThingPark's obligations hereunder; and for purposes of enforcing this Agreement and the ThingPark Guidelines. (c) are granted under all applicable intellectual property rights (including patent rights). You, not ThingPark, license your Products to Buyers. You may provide your own EULA ("Seller EULA") with any Marketplace Products. However, your Seller EULA (if any) must comply with the terms and conditions of this Agreement and must, at a minimum, include terms consistent with, and at least as protective of ThingPark, as the terms in the Standard EULA Terms (defined below). If you do not provide a Seller EULA, then you agree that the provisions of the ThingPark Guidelines in which ThingPark designates default Buyer license terms (the "Standard EULA Terms") will apply to Buyers' use of your Marketplace Products. The Standard EULA Terms specify, among other things, that you are the licensor of your Marketplace Products and that ThingPark is not a party to your EULA. You agree that ThingPark does not and will not have any responsibility or liability related to compliance or non‐compliance by you or any Buyer under a Seller EULA or the Standard EULA Terms. You will use commercially reasonable efforts to provide telephone, web-based and/or email support to the Buyers for your Marketplace Products during normal business hours after your sells. You will provide to ThingPark a current email address to which ThingPark may direct inquiries from Buyers regarding your Marketplace Products. You are solely responsible for providing all support for your Marketplace Products, and for providing to users of your Marketplace Products all information necessary for their use of your Marketplace Products. At a minimum you agree to respond within 24 hours to any support request that ThingPark identifies as critical. ThingPark retains the right to determine the content, appearance, design, functionality and all of the other aspects of the Site and the Services( including the right to re-design, modify, remove and alter the content, appearance, design, functionality and other aspects of the Site and the Service and any element, aspect, portion or feature thereof from time to time) and to delay or suspend listing of, or to refuse list, or to de-list or to require Seller not to list, any or all products in our marketplace. Sellers are not authorized to make any comments / reviews on their own products or subscribe to any not authorized third party review operator without ThingPark authorization. (b) with respect to ThingPark, the ThingPark Market, or ThingPark's Product or Services. In all activities under this Agreement, you agree to conduct yourself in a professional manner and not to disparage or devalue ThingPark or the Marketplace. ThingPark maintains at its sole discretion to determine all features and operations of the ThingPark Market. You acknowledge that ThingPark has no obligation to promote, distribute, list or offer for Sale any Marketplace Product, or to continue to do so. With respect to Paid-via-ThingPark Products only, ThingPark is responsible for and has sole discretion related to processing payments, collecting payments, executing refunds to Buyers upon request by Sellers or by authorized third parties. All Sales through the ThingPark Market will be processed by ThingPark's payment systems and will be subject to the Revenue Share terms below. (b) treat, store, transmit, disclose and use the information only in accordance with applicable privacy notices and laws, rules, regulations, orders, and other requirements of governmental agencies (together, "Laws"). Without limiting the foregoing and with respect to Seller-Collected Buyer Data, you shall provide legally adequate privacy notices to each Buyer and obtain all necessary consents under Law and (y) notify Buyers that ThingPark is not responsible for the privacy, security or integrity of Seller-Collected Buyer Data. You shall also maintain and handle all of the Buyer Data in accordance with privacy and security measures reasonably adequate to preserve its confidentiality and security and all applicable Laws. For the sake of clarity, ThingPark shall not be liable for or have any responsibility in connection with Seller-Collected Buyer Data. (b) either (i) the Marketplace Products do not contain, use or support any data encryption or cryptographic functions ("Encryption Technology") or (ii) you have qualified each Marketplace Products containing, using or supporting Encryption Technology for export. You represent, warrant and certify to ThingPark that you will comply with all applicable export laws and regulations. "Feedback" means any feedback, comments, suggestions, ideas, description of processes or other information that you may provide to ThingPark from time to time about or in connection with ThingPark Market, including any ideas, concepts, know-how or techniques contained therein. You hereby grant ThingPark a worldwide, royalty-free, non-exclusive, perpetual and irrevocable license to use, copy, modify and otherwise exploit the Feedback for any purpose, including incorporating or implementing the Feedback in the ThingPark Market or any ThingPark products, applications or services. You agree that ThingPark may exploit all Feedback without any restriction or obligation with regards to intellectual property rights or otherwise. In addition to ThingPark's other rights, ThingPark may collect aggregated information regarding the ThingPark Market and Marketplace Products (excluding any personally identifiable information), including through the use of third party analytics tools such as Google Analytics ("Aggregated Information") and may exploit and use the Aggregated Information for any purpose without restriction. Subject to the terms of this Agreement, you have at your discretion to set the commercial pricing tiers for initial sales, licenses or subscriptions to your Products (the "List Prices"). You will determine the pricing for renewals, upgrades that add more licenses/users, New Versions and other support and maintenance, and academic and community licenses acquired through the ThingPark Market ("Follow-on Sales"), all in accordance with its standard formulas and policies. You agree that any List Price may not exceed, at any time, the lowest list price or suggested retail price for each applicable pricing tier for the Products (including any similar edition, version or release) available on any Similar Service or the lowest actual price at which you make such Paid-via-Marketplace -on available for sale through any Similar Service. You will update the List Price for each Product as necessary to ensure that it meets the requirements of this Section 10. Revenue Share. For each Sale, ThingPark will pay you an amount ("Revenue Share") equal to 85% of the amount received by ThingPark from the Sale. 10.2 Sale includes any initial or renewal sale, subscription or license of a Product (or related content or services) through the ThingPark Market. Such amounts are the full amounts paid by the Buyer including taxes, shipment and miscellaneous. A Revenue Share is due only for Sales for which ThingPark has received final payment from or on behalf of the Buyer and ThingPark has been reported in the Seller interface that the Product have been actually delivered to the Buyer . If a Product is sold to a Buyer using a credit card or any other payment method authorized by the Marketplace, final payment will be deemed to have occurred when the applicable credit card company or bank has fully settled the payment for the applicable purchase. For purposes of clarity, in the event ThingPark refunds the applicable Sale amount (or a portion thereof) to a Buyer upon request by the Seller or any authorized third party, You agree and acknowledge that you will not receive and will have no right to receive a Revenue Share on that portion of the Sale amount that was refunded. If a purchase of a Buyer that initially purchased Seller Products through the ThingPark Market is completed afterwards or If the Seller is informed about a customer project or tender by the Actility sales team or through the Marketplace, a “Project Protection Acknowledgement / Request” process will prevail. If transactions are performed outside of ThingPark Market (off-platform transaction), the Seller shall immediately report in writing the transaction details to ThingPark Market. In these instances, and in consideration of ThingPark Market’s initial role in marketing and offering the Seller’s Products, the Seller agrees to pay the ThingPark Marketplace a Commission Fee of 3% to ThingPark Market for any sales within 12 month from last sales on platform. Subject to the terms of this Agreement, approximately thirty (30) days after the end of the calendar month in which the applicable Sale is made, ThingPark will make available to you a report detailing Sales of Products and corresponding Revenue Share along with payment of the Revenue Share due in connection with such report and will proceed with payments to the Seller at the same time at the issuance of the report. Payment occurs only for sales of products that have been effectively "delivered" to Buyers' delivery address and confirmed as such. Seller is responsible to update purchase order status and related shipment tracking number within the seller interface to reflect product delivery journey at all times. All payments will be made in Euros or any other currency defined subsequently by ThingPark. You agree to provide ThingPark with information on a valid bank account in your name, and ThingPark will make payments to that account via Electronic Funds Transfer ("EFT"). ThingPark is entitled to accrue and withhold payments, without interest, until the total amount due to You (net of any tax withholding, as further described below) is at least 300 Euros. If ThingPark pays you a Revenue Share on a Sale and later issues a refund or credit to the Buyer for such Sale (or receives a chargeback related to the Sale), ThingPark may offset the amount of the Revenue Share that ThingPark previously paid you against future Revenue Share or other amounts that would otherwise be payable to you under this Agreement, or require you to remit that amount to ThingPark. ThingPark may also withhold and offset sums you owe to ThingPark against amounts that are payable to you and may also withhold any other taxes or charges whatsoever. You agree that any fees charged by your bank in connection with wire transfers pursuant to this Section are solely your responsibility. When this Agreement terminates, ThingPark may withhold all Revenue Share due for a period of sixty (60) days from the date they would otherwise be payable, in order to ensure ThingPark's ability to offset any Buyer refunds or make any other offsets to which ThingPark is entitled. If less than a threshold is left, no payment will be due by ThingPark. Payment processing services for Sellers on ThingPark Market are provided by Payment Service Providers. With regards to Stripe acting as our Payment Service Provider in some countries, payment processing are provided under an agreement executed with ThingPark Market on August 3rd 2017 and are subject to the Stripe Connected Account Agreement, which includes the Stripe Terms of Service (collectively, the “Stripe Services Agreement”). By agreeing to the Seller Agreement or continuing to operate as a Seller on Thingpark Market, you agree to be bound by the Stripe Services Agreement, as the same may be modified by Stripe from time to time. As a condition of ThingPark enabling payment processing services through Stripe or any other PSP, you agree to provide ThingPark accurate and complete information about you and your business, and you authorize ThingPark to share it as well as transaction information related to your use of the payment processing services provided by Stripe or any other PSP..
All EFT fees are deducted from remittance transfer for 1 euro per wire transfer in Europe and 10 Euros per wire transfer outside Europe. ThingPark shall only use your banking and payment information for purposes related to this Section 10 (Financial Terms). ThingPark shall not disclose your sales and related financial data to third parties. ThingPark may use or disclose aggregated sales and other financial data related to the ThingPark Market, which may include your sales and related financial data but does not identify you or your data specifically. ThingPark maintains the right to deduct or withhold any applicable taxes payable by You from amounts due from ThingPark, and the amounts due, as reduced by such deductions or withholdings, will constitute full payment to You. In order to fight against fraud (non-delivery to customers, defaulted payments, ...) or inappropriate behavior by Seller (claims, bad ratings or low satisfaction rate, ...) and ensure optimal quality for Service Users, Sellers’ personal data on the site shall be processed by ThingPark to determine fraud risk and trust levels associated with each Seller account. As part of this analysis, ThingPark may question its service providers specializing in the prevention of risks to refine its analysis. Some of these service providers shall be sent details of the results of the analysis and may use them in their own incident files. Some data on the terminal associated with the Seller's account may also be transferred to the United States. This transfer will be handled in order to ensure a level of data protection comparable to that of the French legislation (Decision 2000/520/EC of the European Commission of 26 July 2000). Messages exchanged between the Seller and Buyer through ThingPark Market shall be archived by ThingPark and may be used to prove maladaptive behavior on the Seller's part. Fraud Management costs of charge back shall be deducted from the next remittance to the Seller and will be based upon: the recovery of the original amount that generates the charge back and the fixed cost of 20 (twenty) Euros per charge back. Without limiting other rights, ThingPark may set-off or deduct any amount You owe us from your Balance, any proceeds due to you, your Bank Account, and/or other payment instrument registered with us. If ThingPark is unable or do not wish in our sole discretion to set-off any amount You owe us, You will immediately pay us, upon demand, such amount. ThingPark reserves the right, upon termination of this Seller Agreement, to set off against any payments to be made to Seller, an amount determined by us to be adequate to cover chargebacks, refunds, adjustments or other amounts paid to Buyers in connection with Your Transactions from Seller's Account for a prospective three-month period. You may be aware that Seller ‘s data may be transferred to third party by ThingPark Market including but not limiting to tax solution providers, shipping service providers for the sole purpose of ensuring that the related services are meeting the highest standards of the marketplace industry. The term of this Agreement (the "Term") will begin on the date of the acceptance of the Agreement it and will continue until You or ThingPark terminates it. (b) the party breaches its confidentiality obligations under this Agreement, infringes or misappropriates the terminating party's intellectual property rights. Termination under this Section or Section below does not limit either Party from pursuing any other remedies available to such Party, including but not limited to injunctive relief. (d) ThingPark determines (in its discretion) that your participation in the Marketplace could result in legal or business liability to ThingPark or any third party or otherwise harm the Marketplace or other Marketplace Sellers or users. (b) communicating such matters accurately and in a positive and professional manner to Buyers. If specified by ThingPark, the Transition Period may commence upon a notice of termination rather than the effective date of termination. For the sake of clarity, after termination, you are not obligated to provide any New Versions of your terminated Products to ThingPark for distribution under this Agreement thereafter, but ThingPark's post-termination rights in this paragraph will apply for the latest version of the Product you provided to ThingPark hereunder (and any prior version). (a) all EULAs and associated Buyer licenses and subscriptions to Products will survive termination or expiration of this Agreement in accordance with their terms. The following sections of this Agreement will survive termination or expiration of this Agreement and any Transition Period: Section 10 (Financial Terms) 13 (Term and Termination), Section 19 (Disclaimers and Limitations of Liability). (g) You will include any attributions, copyright information and other notices, terms and conditions that may be required to be provided to Buyers (e.g., as part of a Seller EULA) based on your use of third party "open source" software or other third party intellectual property in any Add-on. You will also promptly make available to ThingPark, Buyers and any other third party that is entitled to it, the source code corresponding to any Add-on or portion thereof if and in the manner required by applicable third party terms and conditions. ThingPark's exploitation (in any manner as permitted hereunder) of any Content will not subject it to, or cause it to violate, any open source or other third party terms or agreements of any kind. (b) ThingPark shall pay damages finally awarded by a court of competent jurisdiction against such Seller for such a claim or, if ThingPark settles the claim, the settlement amounts. ThingPark's obligations in this Section 15 apply only to the ThingPark Guidelines themselves and not to any Marketplace Add-ons, other ThingPark products or services, or other third party content hosted on or used with the ThingPark Guidelines, and in any case ThingPark's obligations do not apply if the alleged infringement, misappropriation or violation resulted from any modifications, combinations, or unauthorized use of the ThingPark Guidelines. As a condition to ThingPark's obligations under this Section 15.1, you must provide ThingPark (i) prompt written notice of the claim (and in any event notice in sufficient time for ThingPark to respond without prejudice), (ii) the exclusive right to control and direct the investigation, settlement and defense (if applicable) of the claim, and (iii) all reasonable necessary cooperation. This Section 15.1 sets forth ThingPark's sole liability and your exclusive remedy with respect to third party claims of intellectual property rights infringement. You will indemnify, defend and hold ThingPark and its subsidiaries (including its respective affiliates, officers, directors, employees, contractors and assigns) harmless from and against any loss, claim, liability, damage, action or cause of action (including reasonable attorneys' fees) arising out of any claim relating to any Content or the use of Content (including any claims made by or arising from Buyers), or from any breach of your representations, warranties or obligations set forth in this Agreement (individually, a "Claim," and collectively, the "Claims"). You will not consent to the entry of a judgment or settle a Claim without ThingPark's prior written consent, which may not be unreasonably withheld. If you do not promptly assume and conduct the defense of a Claim or take reasonable action to settle any such Claim after being provided with sufficient reasonable advance notice to evaluate the Claim, then ThingPark may take control of the defense (without limiting your indemnification obligations). Your obligations under this Section 15.2 are independent of your other obligations under the Agreement. (c) is received from a third party, in each case without breach of an obligation owed to ThingPark or anyone else. (b) only use Confidential Information to fulfill your obligations under this Agreement. If you are compelled by law to disclose Confidential Information, you must provide ThingPark with prior notice of such compelled disclosure (to the extent legally permitted) and reasonable assistance, at ThingPark's cost, if ThingPark wishes to contest the disclosure. In event of actual or threatened breach of this Section 16, ThingPark shall have the right, in addition to any other remedies available to it, to seek injunctive relief to protect its Confidential Information, it being specifically acknowledged by the parties that other available remedies may be inadequate. (a) You understand and agree that ThingPark develops its own products and services and works with many other sellers and developers, and either ThingPark or these third parties could in the future develop (or already have developed) products similar to yours. (b) You should not provide to ThingPark any information that you consider confidential and you agree that ThingPark is not subject to any confidentiality obligations or use restrictions related to information that you may provide to us in relation to this Agreement. You expressly agree that neither this Agreement nor your participation in the Marketplace limits ThingPark's right to develop or have developed for it products, concepts, systems or techniques that are similar to or compete with any Marketplace Add-on or any other products, concepts, systems or techniques contemplated by or embodied in information you disclose to ThingPark. For clarity, however, this paragraph, in itself, does not grant ThingPark any license under your intellectual property rights. (c) upon expiration or termination of this Agreement for any reason, immediately cease all use of the ThingPark Marks, unless you are otherwise authorized to continue using the ThingPark Marks pursuant to a separate written agreement with ThingPark. "ThingPark Marks" means the trademarks, trade names, service marks and logos owned or otherwise used by ThingPark. Nothing contained herein shall grant you any ownership right in the ThingPark Marks. THE THINGPARK MARKET AND ANY THINGPARK MATERIALS ARE PROVIDED "AS IS" AND THINGPARK EXPRESSLY DISCLAIMS ALL WARRANTIES, INCLUDING WITHOUT LIMITATION WARRANTIES OF MERCHANTABILITY, FITNESS FOR A PARTICULAR PURPOSE, TITLE AND NONINFRINGEMENT. (B) IN NO EVENT SHALL EITHER YOUR OR THINGPARK'S AGGREGATE LIABILITY ARISING OUT OF OR RELATED TO THIS AGREEMENT OR THE THINGPARK MARKET, WHETHER IN CONTRACT, TORT OR UNDER ANY OTHER THEORY OF LIABILITY, EXCEED THINGPARK'S MARGIN IN THE TWELVE-MONTH PERIOD PRECEDING THE CLAIM. FOR THE PURPOSES OF THIS AGREEMENT, "THINGPARK'S MARGIN" MEANS THE AMOUNTS RECEIVED BY THINGPARK FROM SALES OF YOUR ADD-ONS, MINUS THE REVENUE SHARE THINGPARK HAS PAID YOU. The parties have entered into this Agreement relying on the limitations of liability, disclaimers of warranty and other provisions relating to allocation of risk stated in this Agreement and agree that such provisions are an essential basis of the bargain between the parties. The parties further agree that all such limitations, disclaimer and other provisions will survive and apply even if any limited remedy is found to have failed of its essential purpose. (b) terminating this Agreement. If You so terminate the Agreement, the proposed changes will have no effect on you. However, if You do not so terminate then your continued participation in the ThingPark Market after changes to this Agreement take effect will constitute your acceptance of the changes. In the event of any controversy or claim arising out of or relating to this Agreement, the parties hereto shall consult and negotiate with each other and, recognizing their mutual interests, attempt to reach a solution satisfactory to both parties. If the parties do not reach a settlement within a period of 60 days, any unresolved controversy or claim arising out of or relating to this Agreement shall proceed to binding arbitration under the Rules of Arbitration of the International Chamber of Commerce. The parties shall seek to mutually appoint an arbitrator. If the parties cannot agree on a single arbitrator, then there shall be three (3) arbitrators: one selected by each party, and a third selected by the first two. Arbitration will take place in Paris (France). All negotiations and arbitration proceedings pursuant to this Section 21.1 will be confidential and treated as compromise and settlement negotiations for purposes of all similar rules and codes of evidence of applicable legislation and jurisdictions. The language of the arbitration shall be English or in French. This Agreement will be governed by and construed in accordance with the applicable laws of France, without giving effect to the principles of that State relating to conflicts of laws. Each party irrevocably agrees that any legal action, suit or proceeding that is not otherwise subject to the arbitration provisions of Section 21.1 (Dispute Resolution; Arbitration) must be brought solely and exclusively in, and will be subject to the service of process and other applicable procedural rules of Paris, France and each party irrevocably submits to the sole and exclusive personal jurisdiction of the courts in Paris, France, generally and unconditionally, with respect to any action, suit or proceeding brought by it or against it by the other party. Notwithstanding the foregoing, ThingPark may bring a claim for equitable relief in any court with proper jurisdiction. Notwithstanding the provisions of this Section 21, nothing in this Agreement shall prevent either party from seeking injunctive relief with respect to a violation of intellectual property rights, confidentiality obligations or enforcement or recognition of any award or order in any appropriate jurisdiction. (b) by you via email to legal@actility.com or to such other email or physical addresses as ThingPark may specify from time to time. The date of receipt will, in the case of email, be deemed the date on which such notice is transmitted.